According to Stuart Corbridge, the Vice-Chancellor of Durham University, he has “been constantly impressed by the outstanding quality of research produced at the University”. However, this research is often locked up in an “ivory tower” and isolated from the local community. 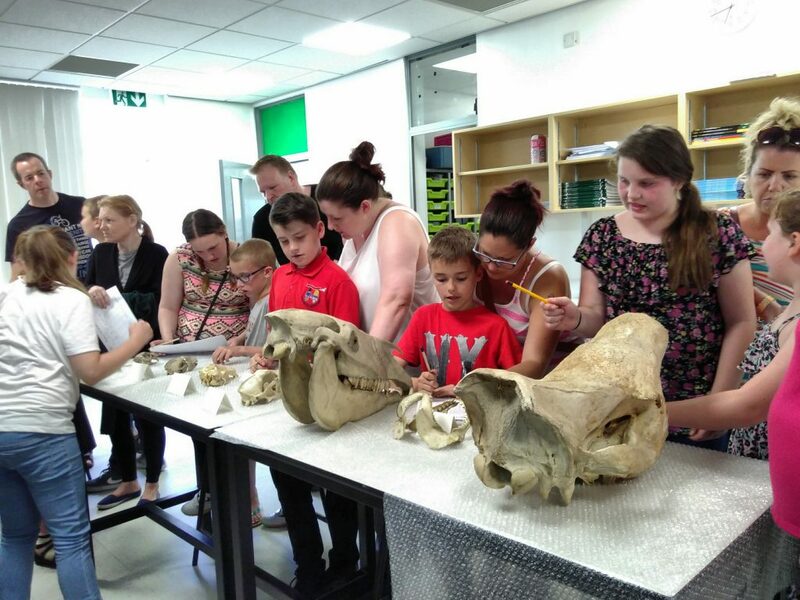 Over the past few years, PhD student and Ustinov Global Citizenship Programme (GCP) scholar Pen-Yuan Hsing has tried to bridge this gap through a citizen science project (MammalWeb) involving local residents throughout North East England. With a grant from the British Ecological Society, Pen collaborated with Belmont Community School in Durham to get students involved. 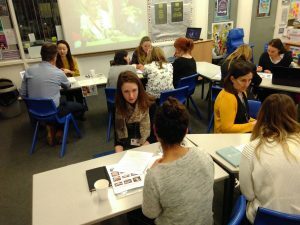 This planted the seed for further partnerships connecting research in different disciplines at Durham University with the local community and schools. 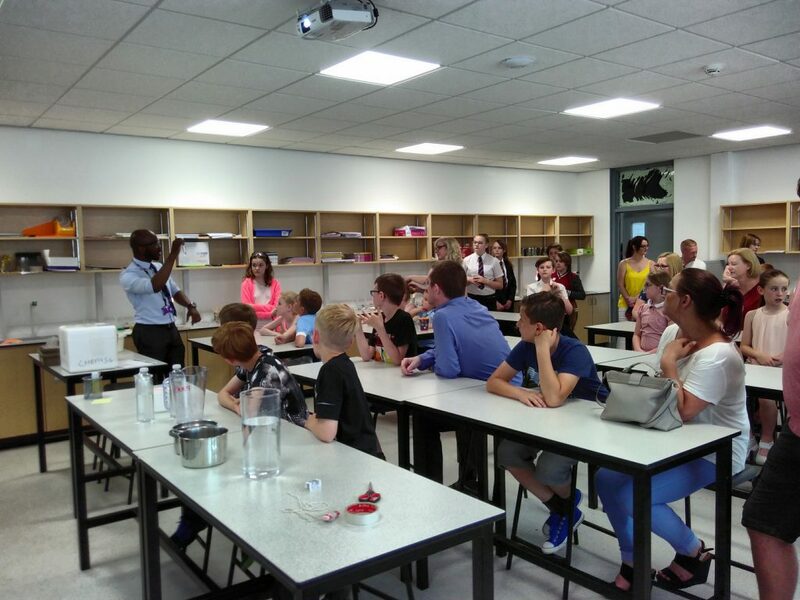 The first result was from early this year, when Mrs Julie Ryder and Mr Valentine Maduko invited Pen and other GCP scholars to bring science experiments to their science open day. This worked out really well and Julie asked if there’s a way to bring the cutting-edge research at the University into schools where teachers have been teaching the same things for years. 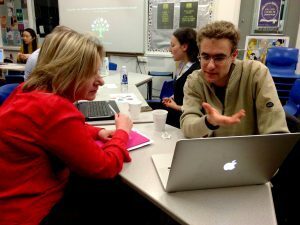 So on 5 December 2017, Café Scientifique of the GCP enlisted research students from across the University to meet with local teachers at Belmont School. During this meeting, we discussed how we can bring the University into the classroom. Many fields were represented. For example, Emine Gurbuz will talk about how the brain works through several activities at Belmont School in January 2018. 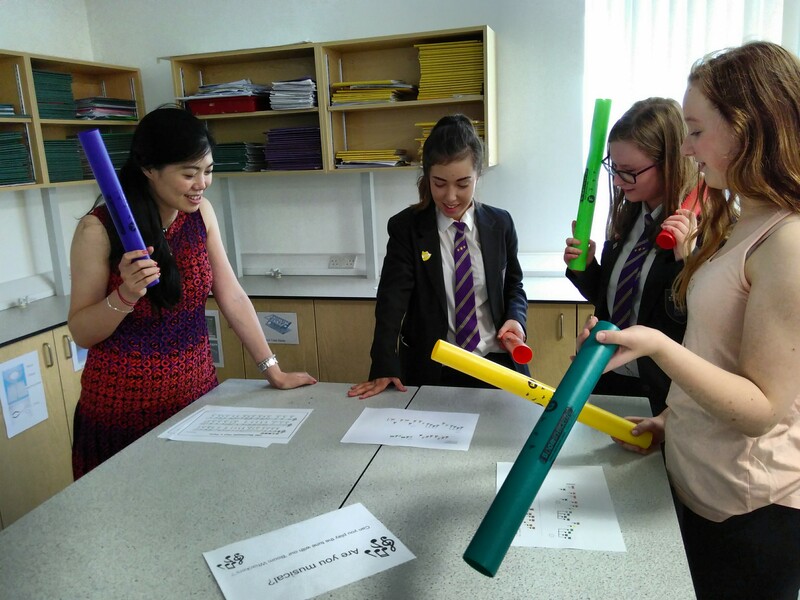 These activities include hands-on experiments with Year 9 students where they will be guided to ask their own research questions about brains. Some other activities come from Naz – a psychology PhD student who can “read minds” by looking at people’s expressions and Giorgio who is an astronomer with lots of outreach experience. Arts, humanities and social sciences are also well-represented. Martina is doing a PhD in English and will lead a series of creative writing poetry activities. Ben will run exercises on entrepreneurship and business. Vicki will reflect with students on the use and implications of social media. On top of all of this, we also wanted to take full advantage of the diversity at Ustinov College. The College is not only the largest postgraduate community in the UK, it is also the most international, with more than 100 nationalities represented. Ayako of the GCP Ustinov Intercultural Forum showed the attending teachers the full range of cultural events they can organise, from calligraphy to language cafés. This event wasn’t attended by just teachers from Belmont School. 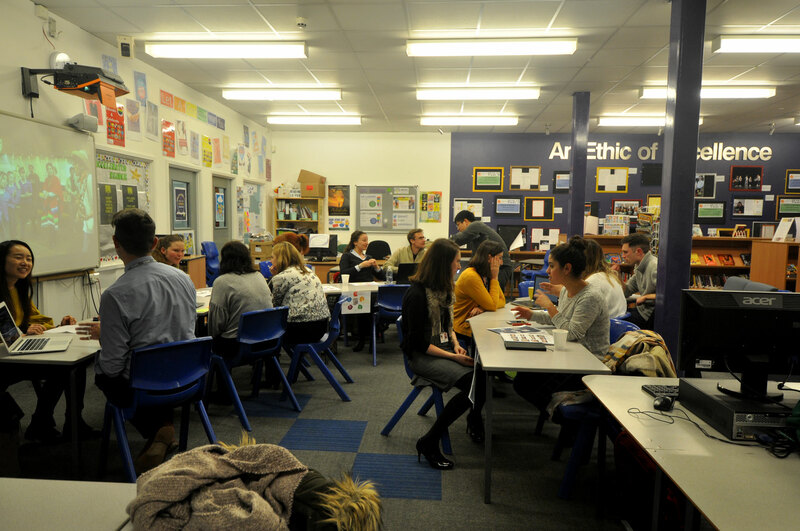 The aim is for any local school to get involved, and we were excited that they also came that evening. 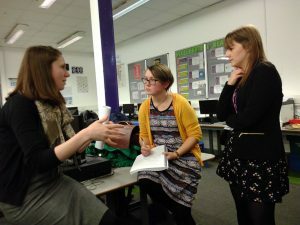 For example, the head teacher from Pittington Primary School was present and established a connection with the GCP. These teachers are now in touch with us and are planning activities throughout 2018. We are excited to see how the first sessions – such as those with Emine – will go. So please watch this space for updates! We are grateful to Jess Watters of Ustinov Café Scientifique for her help in making this happen. 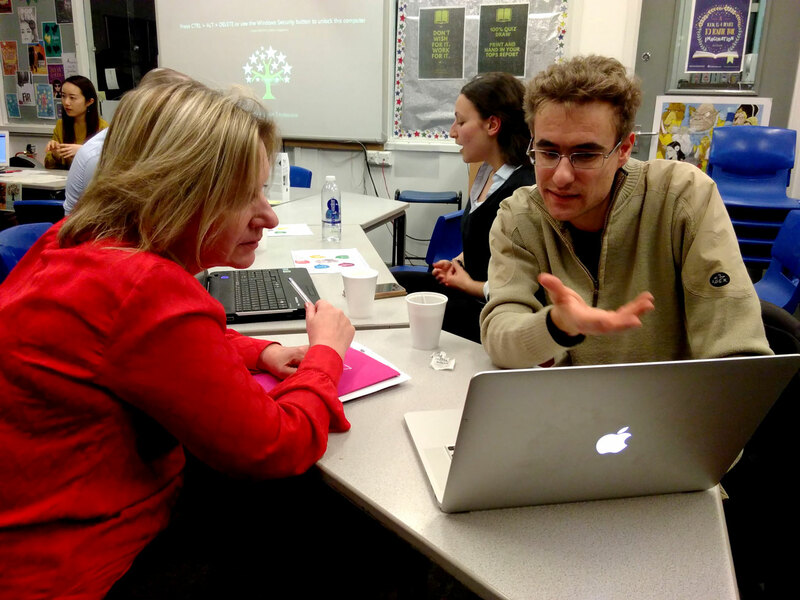 We are also thankful to Julie for her brilliant idea and hosting us, and all the teachers at Belmont School. Don’t forget to look at this Flickr album of photos from the day and share them! 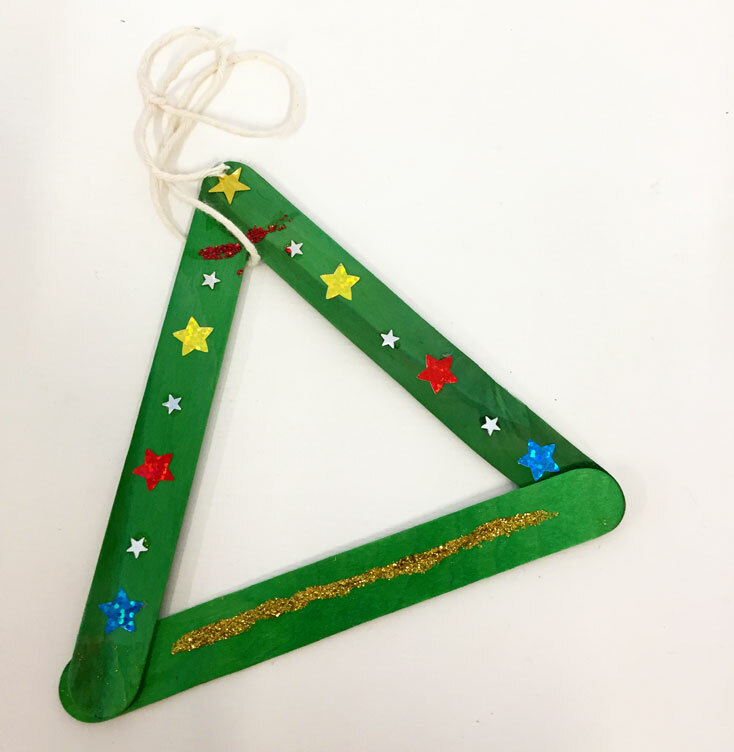 On Friday 1st of December (the start of the real Christmas countdown) local school children and their parents were invited to join the GCP to create Christmas crafts with LOTS of glitter. 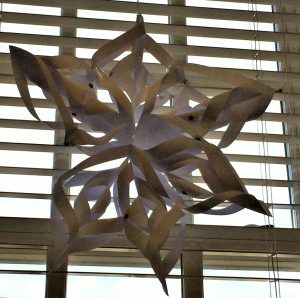 They came along to make Christmas cards and decorations provided with a bit of inspiration from festive tunes and pinterest crafts. The event was really well attended despite the snow and very chilly weather; probably the sweets and biscuits on offer helped people to brave the artic conditions? 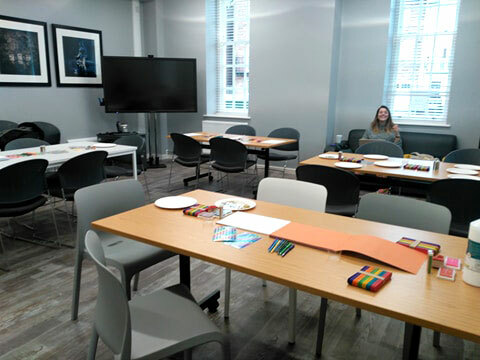 For many of the local residents it was their first time in the community room and meeting the GCP team, an experience that was 100% positive for all involved and one that we hope has helped form relationships with the community forever. Special thanks to the volunteers from the teams who turned up on the day, especially the ones who helped to clear up the epic amount of glitter that covered everything (we are very sorry, but not really who doesn’t love glitter?) and the Café des Arts team who helped to promote the event – you did a really good job! We hope this event will happen again, maybe for Easter as it was very popular with those who came along. Looking back it would be hard to tell who was having more fun with the Christmas crafts the children or the GCP scholars! All in all everyone had a really good time and got into the Christmas spirit. Success! 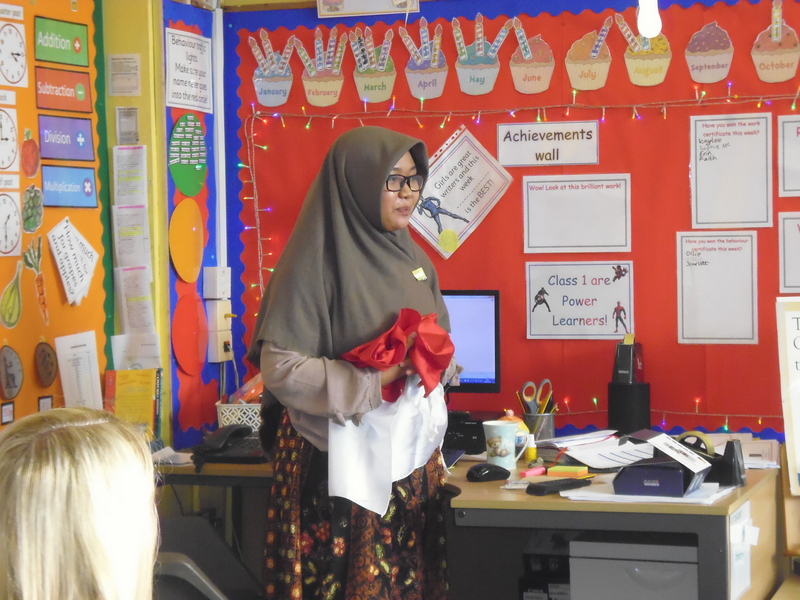 On 26th September I and a fellow Ustinovian, Rumy from Indonesia, student travelled to Sunderland to celebrate European Languages Day with primary school children at Hill View Infant Academy. It was an amazing experience. 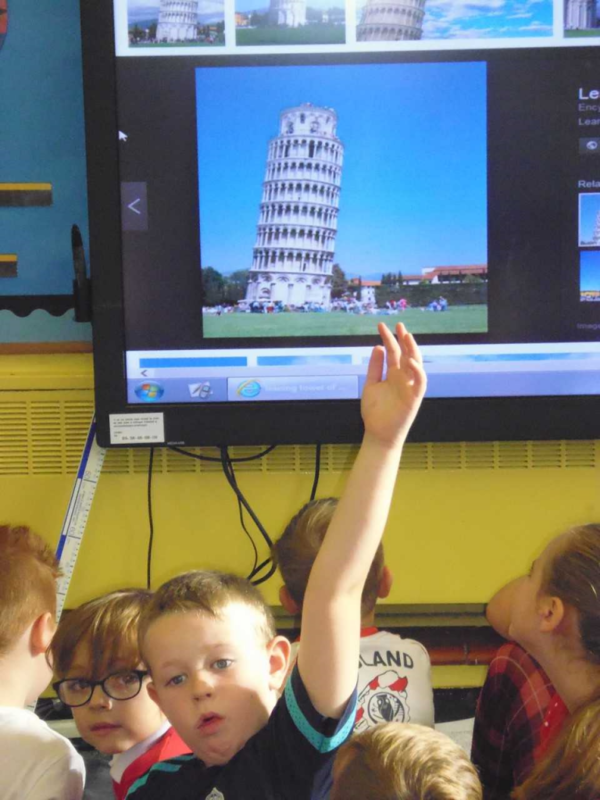 I am Italian, and was able to teach the kids several Italian words to the kids – greetings, numbers and colours – and showed them pictures from my region, and famous monuments of Italy. The kids were very curious and asked me lots of questions. They were particularly fascinated by the tradition of the Palio, a famous horse race that take place in my home town Siena twice every year. I also played videos in Italian to them as an enjoyable way of learning foreign languages. 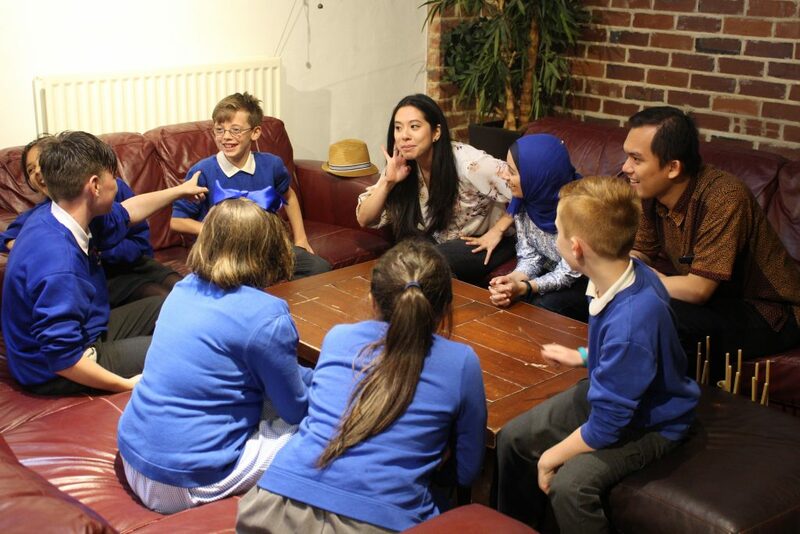 We talked about different subjects such as food, traditions, places, tourism, geography, weather and so on. The kids were all from British families and had not had many international or multicultural experiences according to their teacher. I hope that they will remember not only the few words Italian they learnt, but the value of knowing different cultures and meeting people that come from other parts of the world. 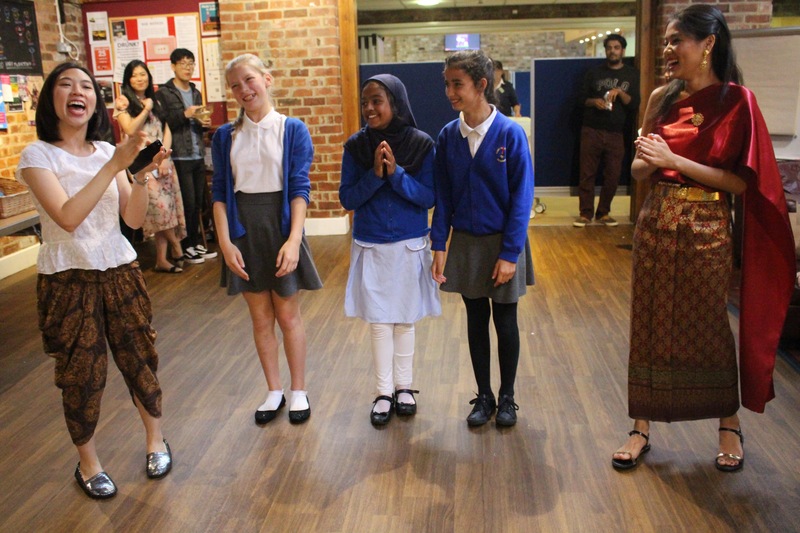 It was really great to take part in this cultural exchange the primary school students! They were so enthusiastic about meeting new people from different backgrounds and countries, and they asked me many questions about what my country is like, and wanted to learn words from my language. They looked at pictures of my Indonesia and learnt how to make simple conversation, asking about common words around family, colours, numbers even animals. For me, it was a great experience meeting them – they were really nice, telling me where to travel and great places to visit in UK. The visit taught me how to communicate with primary school students, and it really enhanced my English since they are so fluent. Thank you for giving me opportunity to meet them and to sort of promote my country! 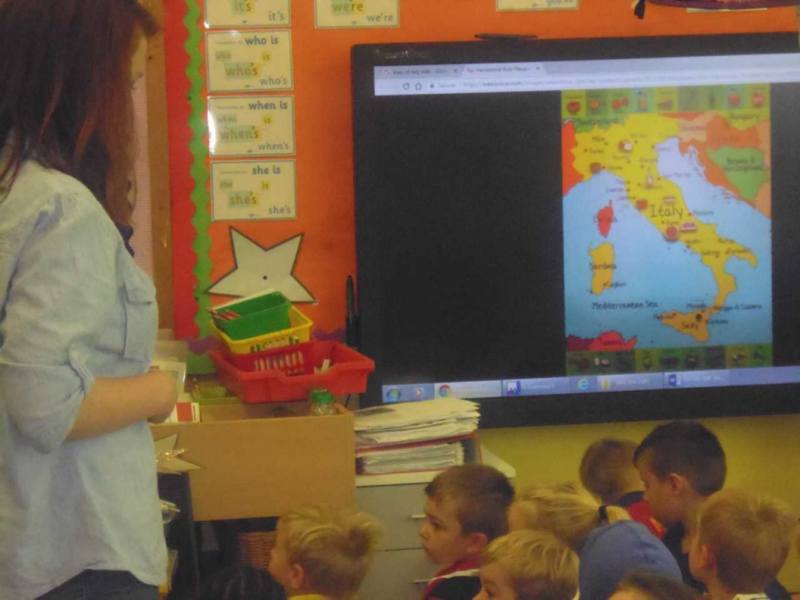 Languages Day was a very busy day this year with all children in school participating at some level. 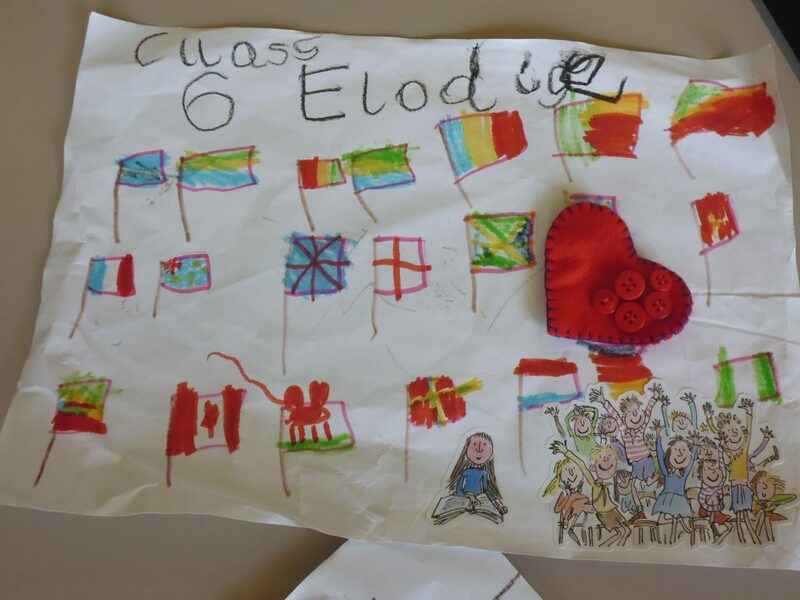 All pupils chose a country and came dressed in the colours of that flag. Many brought in books and work from home too about that country. As we were successful in having students outside of Europe too from Ustinov College, Durham University we decided to have a general languages day rather than just focus on Europe. We were very lucky having Francesca from Italy to come and talk to Year 2 pupils and also Rumy from Indonesia who worked with older pupils. Rumy had pictures of houses to show them which the children found fascinating, and she also taught the how to introduce themselves in Indonesian. Francesca had lots of photos of Italy and maps to show pupils and they thoroughly enjoyed learning about Venice with no roads. They all decided that they wanted to visit the beaches and by the end of the morning could count to 10 in Italian! Last Monday (19 June 2017), four members of the Ustinov Global Citizenship Programme helped lead science outreach activities at the Belmont Community School Science Evening. As a Café Scientifique team member, I’m happy to have been part of that group and we are all grateful to Ms Julie Ryder and Mr Valentine Maduko from the school for letting us participate. We used material left from last year’s Ustinov Science Day, but brought them to an audience of kids and their parents from the Durham community. We played with slinkies, tried to identify animal skulls, poured colourless carbon dioxide onto a candle’s flame, and set water and a 20 pound note on fire! What’s most important is that this is the first, small step we are taking to building up a working relationship with local schools. The Global Citizenship Programmes hopes that not only will everyone in Durham learn about our diverse and international background, but also that Ustinov postgraduates from across the world can learn from this community, too. Monday’s event was just a small taste of what we’d like to do, and we hope you can join us on this journey. 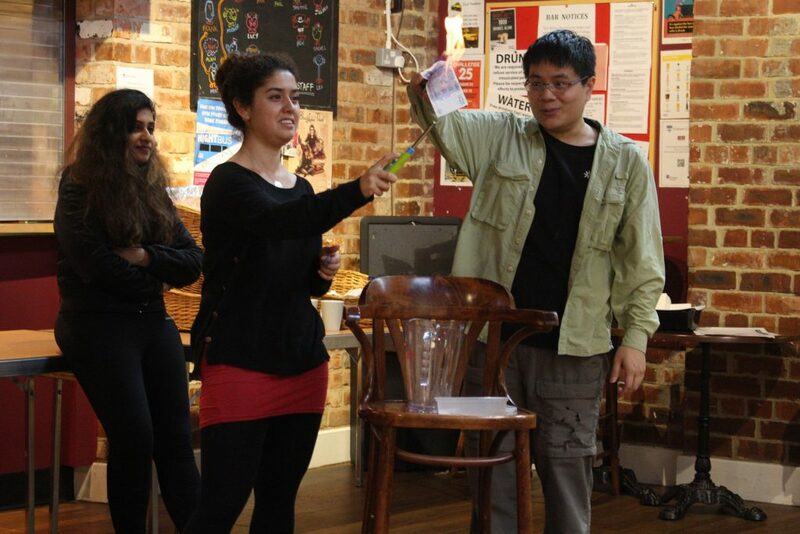 Here are some reflections from our wonderful Café Scientifique member Emine on what she did over the past year. What do we do? Ustinov Café Sci is a platform where anyone interested in science is welcome to participate – either as a speaker or audience. As a member of Café Sci at Ustinov, I have contributed to organizing several events including talks about current scientific issues (e.g. ageing and how society reacts to it, how we deal with information in a post-factual world) discussion panels (e.g. surveillance of privacy and technology behind it) and science outreach projects in local schools. What I have gained from it? While doing so, I have met many inspiring people within the college and outside, I have been able to adapt my new environment in Durham easily and quickly, and gained valuable experience in organizing science events that are relevant for the current issues and at the same time they appeal to everyone with a personal or professional interest in science. What is next? In the upcoming year, we aim to organize more interactive science events where the audience can actively participate and we hope to work with local schools in the science outreach projects. To be able to do all of these, we need more people in our team next year, so join us and be part of this amazing experience! This blog post by Pen-Yuan Hsing and Emine Gurbuz and accompanying images are shared under the Creative Commons Attribution-ShareAlike 4.0 International license, which means you are free to share and build upon them as long as you share them under the same terms.